For me making risotto is like having my own personal Zen Garden in my kitchen. Instead of sand and a wooden rake I have, rice and a wooden spoon. The glass of wine I have in hand is just the added bonus. After all to cook traditional GOOD Italian food don’t you always have to have a glass of wine in hand? Another thing I love about risotto is it can be flavored with just about anything and risotto is a great way to use up leftovers from the night before. 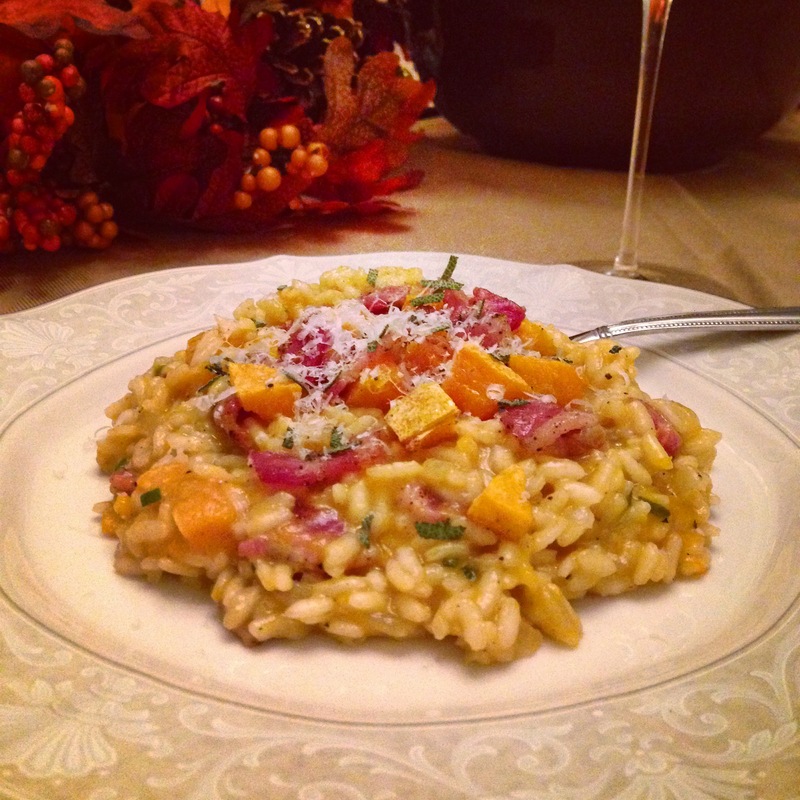 Since it’s Fall, for this risotto I decided to go with roasted butternut squash, bacon and sage. The sweet and creamy butternut squash melts into the velvety risotto turning it a vibrant golden orange. Add in the crispy salty bacon and the fresh earthy sage and this dish is perfect for a cozy Fall night in front of a fire. Also roasted butternut squash, bacon and sage risotto would make an excellent side dish for a not so traditional Thanksgiving dinner. Cut the peeled and seeded butternut squash in to small bite-sized cubes. Place the cubed butternut squash on baking sheet with ¾ of the chopped bacon, half the minced garlic, a drizzle of olive oil, and salt and black pepper to taste. Toss everything together and place the sheet pan in a 400-degree oven. Cook for 30-35 minutes, until the squash is tender and the bacon is crisp. Meanwhile, in a medium-sized pot bring the 4 cups of chicken stock and 1 cup of water to a boil, then reduce heat and simmer with a lid on. Heat a large, skillet over medium heat with 1½ Tablespoons of Butter and 1 Tablespoon of extra virgin olive oil. Add the finely diced onion, the remaining bacon, and a pinch of salt and pepper. Cook over medium-low heat until the onion is tender, about 8 minutes. Next add in the remaining minced garlic and ½ the finely chopped fresh sage and cook for 3 more minutes. Take ¼ of the roasted butternut squash and add to the skillet with the onions and bacon. Using the back of a wooden spoon, mash the cubes of squash into a paste and stir into the onion mixture. 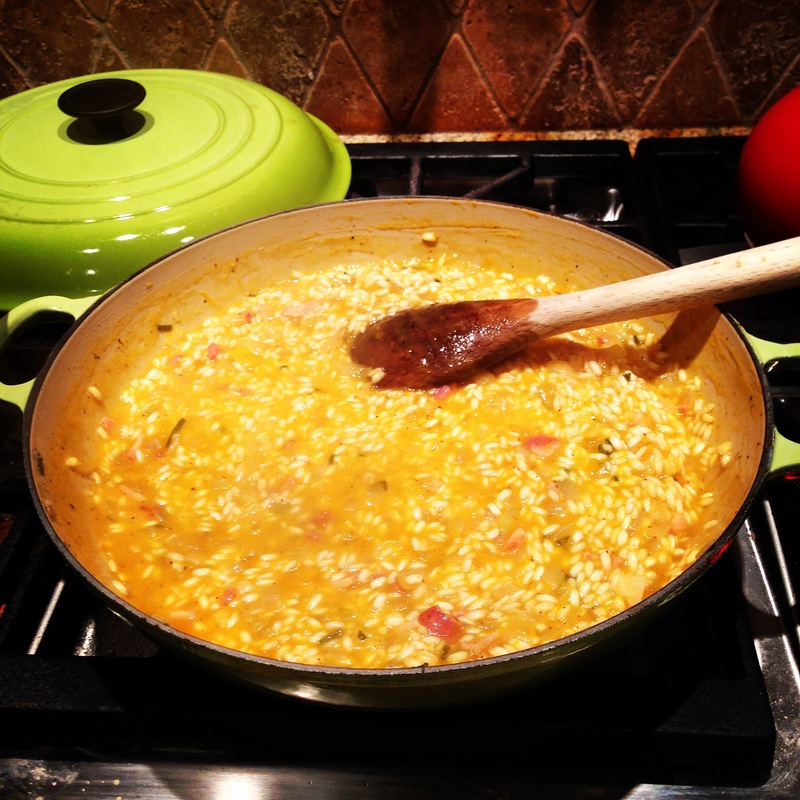 Add the 1½ cups of Arborio rice to the skillet with the onions, squash and bacon mixture and cook until opaque, about 2 minutes, while constantly stirring. Pour in the ½ cup of white wine and continue to stir until the rice has absorbed most of the liquid. After the rice has absorbed almost all the wine, add about a cup of the hot chicken stock/water liquid, and continue to stir the rice until it has absorbed most of the liquid. Then add about another cup of the chicken stock/water liquid and keep stirring. Keep repeating this step until the rice has absorbed all of the liquid and has become tender, it will take about 20 minutes. During this time the rice will slowly release its starch creating a wonderful, velvety sauce. Finally stir in the remaining roasted butternut squash and bacon mixture, along with the remaining sage. Taste for seasoning and stir in about ½ cup of Parmigiano Reggiano cheese and the remaining tablespoon of butter. Thanks for the comment Kim!! I hope you enjoy the risotto!! Yes wine and stirring is always a requirement 🙂 That’s the Italian Way! Love your picture of Paris BTW… It’s one of my favorite places. Thanks! I had such a wonderful time there, I already want to go back! I just love making risotto. Yes, yes I know I used bacon instead of pancetta 😉 My husband ate all the pancetta. 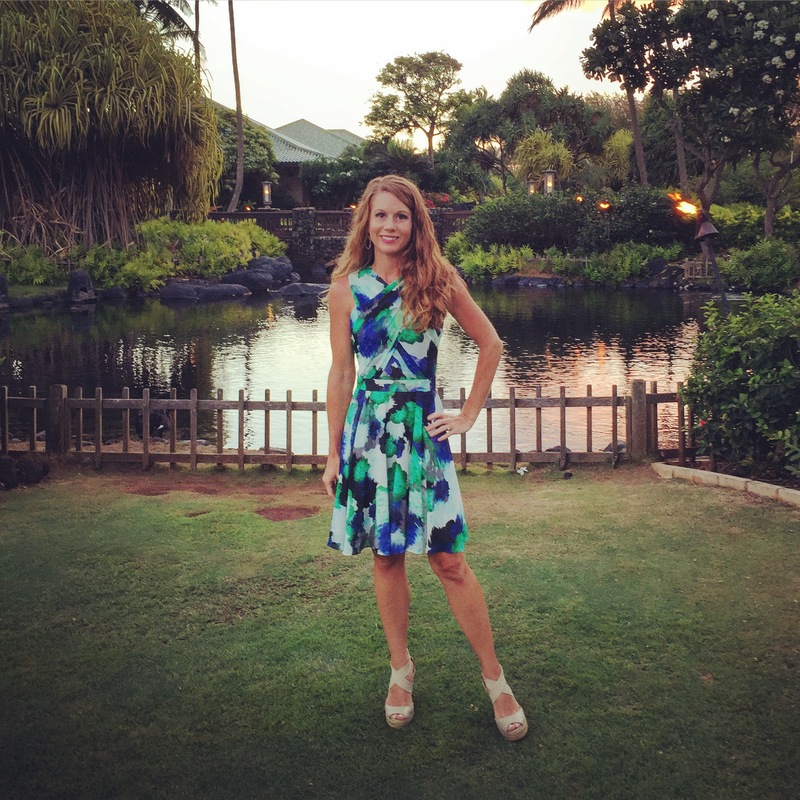 Just can’t keep that stuff around….